However, there are methods for managing Japanese beetles, both adults and grubs, in landscapes and turf that can lessen the negative impacts on pollinators. Here are five options for battling this growing pest. 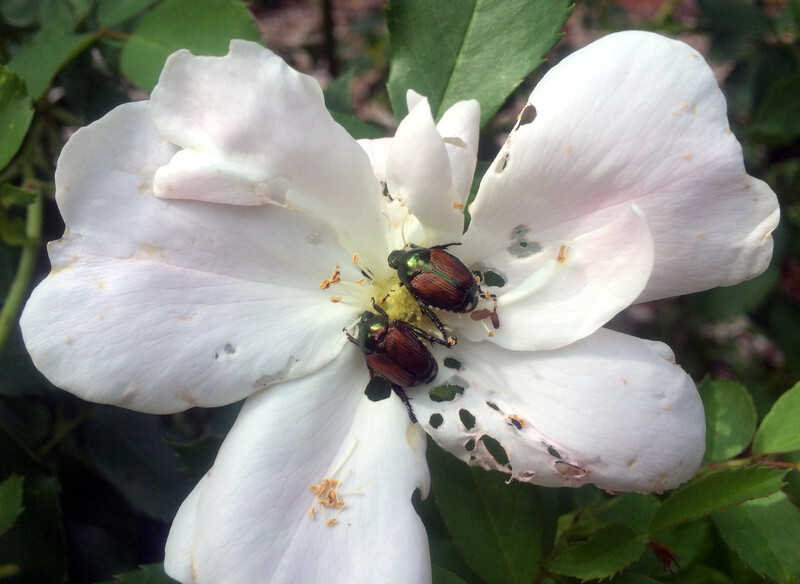 Japanese beetles are most active when bees and other pollinators are busy foraging. Gardeners who face small populations of the Japanese beetles can pick individuals off landscape plants by hand and drown them in soapy water. Beetle traps should not be used to control the population, as they attract thousands of beetles and can result in more damage to the surrounding landscape.